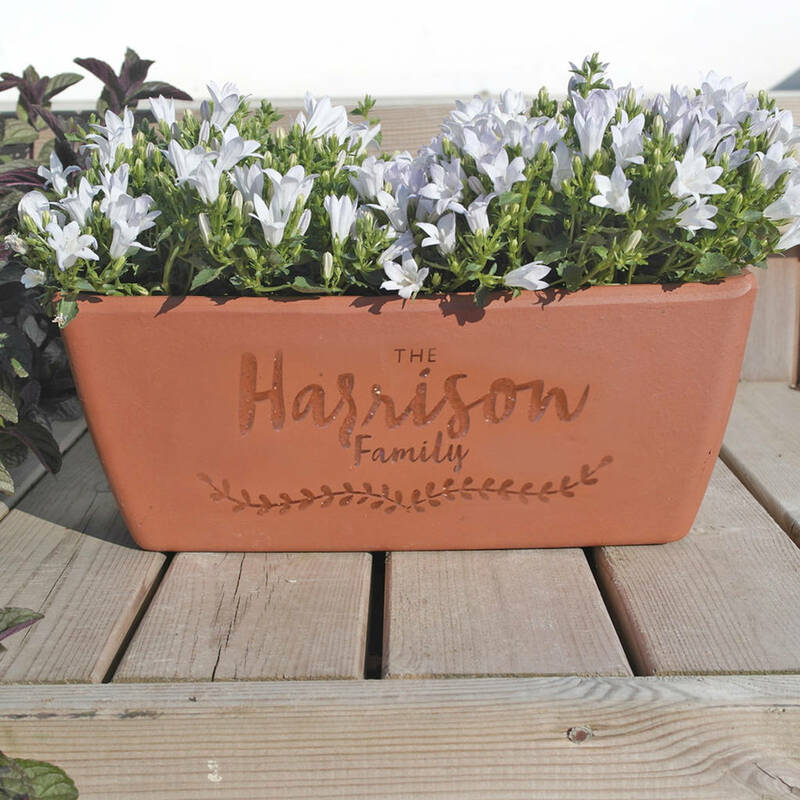 A personalised oval terracotta plant pot engraved with your choice of text. You could have a family name or Mr & Mrs and the wedding date - the choice is yours. A modern take on the traditional tuscan terracotta planter, this is a great pot for flowers on a window ledge. Terracotta provides great growing conditions for plants as its natural porosity allows the pot, compost & plant roots to “breathe” whilst assisting in reducing the likelihood of overwatering. The colour is predominantly terracotta red with flecks of white and pale grey. Terracotta. Suitable for inside use or in the garden. (Plants and soil not included). 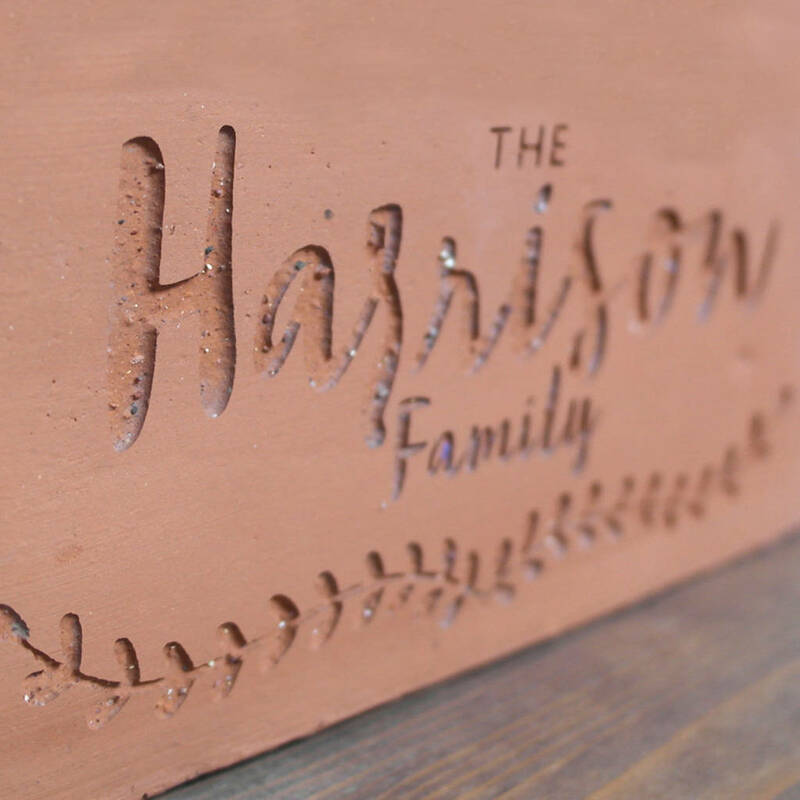 Please note, this is a natural organic product with subtle imperfections in the surface of the clay providing the pot with its rustic character - there will be small fissures and cracks which occur in the baking process but do not effect the integrity of the pot. The unglazed clay will have differences in colour and texture and some edges will be rough. 30cm long x 13cm high. Drainage hole in base.